AS A PET OWNER, MOST OF US KNOW OUR RESPONSIBILITIES OF CARING FOR THE ANIMALS THAT ARE SO DEPENDANT ON US. And so as pet owners, we also need to understand the benefits of regular grooming routines. Keeping the coat free of dirt, tangles and external parasites, removing loose hair, no hair in the eyes, clipped nails, trimmed pads all make for a pet that is comfortable. WHAT HAPPENS IF I DON’T KEEP A REGULAR GROOMING SCHEDULE? Serious side effects occur when we neglect to groom our pets. We encourage a variety of issues which can lead to expensive vet bills and difficult or even aggressive behaviour from your pet. Long hair hanging over your pet’s eyes can restrict vision altering the pet’s capabilities and behaviour. When long hair is not brushed and washed regularly, pets often suffer matting and can load your pet with extra weight. Matting of the hair can be painful and cause serious skin conditions. Severe matting restricts blood flow, pulling tightly on a pet’s skin and making a simple pat painful. In some cases, matting can be so severe that it restricts body movement leading to deformity. Overgrown nails can be very painful, with long nails growing into the paw pads. Long nails can cause your pet’s toes to bend and create a walking disfigurement. Double coating from irregular brushing leads to extra coat causing your pet to suffer heat stress. Grass seeds will not be easily detected if you are not hands-on with your grooming. Undetected grass seeds can lead to abscesses, severe infection, sometimes major surgery for your dog which means expensive vet bills for you. Fleas, ticks and mites are some of the most common parasites that can thrive on dirty and untreated bodies. WHEN SHOULD I GROOM MY DOG? How often your dog needs grooming will vary with age, lifestyle, type of coat and health issues but most breeds will benefit from a 4 – 6 week schedule, some even going on a weekly or fortnightly routine. A pet that looks and smells nice, plus your best friend will be free from discomfort, feel great and behave well. Reduced risk of eye, ear & skin infections. You will ensure your pet is free from pain and disease. Lower medical bills as regular grooming will prevent disease and catch many health issues before they become an emergency. How do I manage fleas on my pets? Fleas can be easily controlled provided you follow a few simple steps. Seek advice from your vet as to the most appropriate product to use on your pet. To completely manage the outbreak it is important to treat your pet, its bedding, and your house at the same time. Your efforts will be wasted if you only focus on treating your pet alone. You should treat areas where pets sleep and play on a weekly basis whether fleas are present or not. 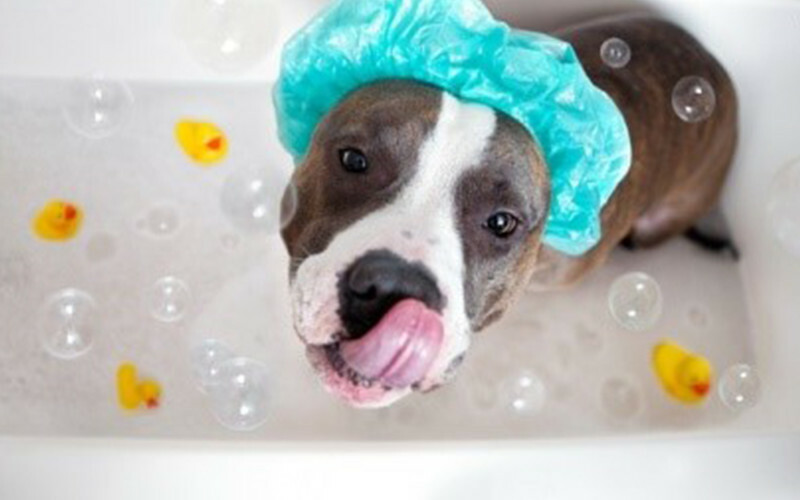 DO NOT issue your pet with tablet or liquid flea treatments and then within 24-48hrs of doing so proceed to wash them with a flea rinse shampoo. This is doubling up on product and can cause serious illness, even death. ALWAYS READ AND FOLLOW THE INSTRUCTIONS OF ANY FLEA TREATMENT THAT YOU ADMINISTER. If issuing via liquid or tablet form, always purchase the correct treatment relative to your dog’s weight. If unsure, Contact your Vet for further advice.